The contest has 1 turn. Each competitor is allowed to participate in the competition with a maximum of 5 caricatures. Entries should not content any text and should be made in A4 format. 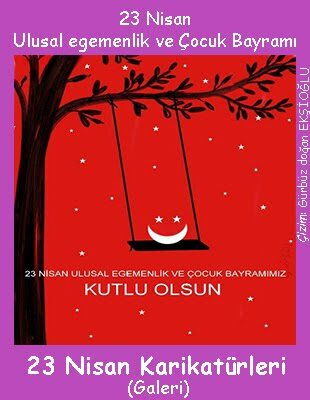 File details: CYMK, JPG, good quality, the maximum size of the mail is 10 MB.. New Deadline: June 30, 2018.. 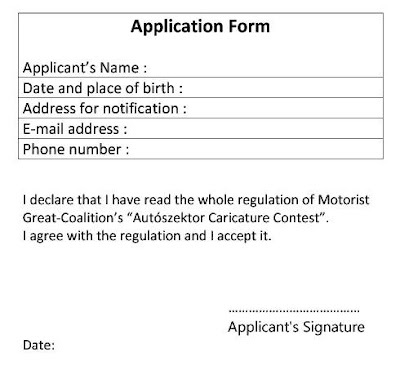 Automotive Sector Cartoon Contest, Budapest, Hungary.. The Motorist Great-Coalition (H-1132 Budapest, Váci street 18.) 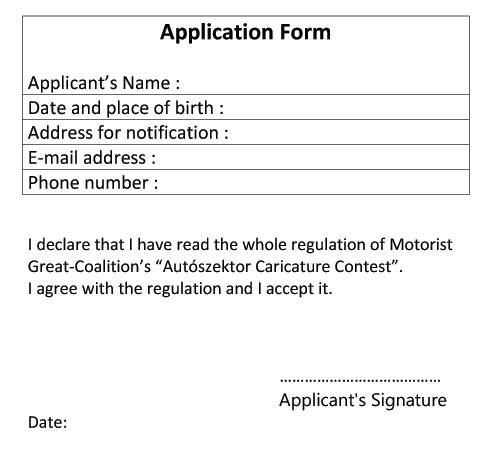 invites all professional and amateur caricaturists to the „Autószektor Caricature Contest” with the following theme: "The Family Transport." 6. By applying, the participants accept that any decision of the jury - in connection with this contest – is final and not appealable. 7. Announcement of results: 2018. Jully 30.